One of the most notable contributors to modern industry is Walter Shewhart, a quality control pioneer. He started his rise to guru status as a Bell Telephone employee in 1918. Born in New Canton, Illinois in 1891, Shewhart set precedents that would be referenced for years to come in establishing the importance of information distribution among quality managers and production personnel. While at Bell Labs, Shewhart revolutionized their production process. This ensured greater economic gains in the form of reducing the need for repair of the equipment the labs produced. He referenced what constituted "common causes" and "special causes" of production issues. He analyze these with his famed Shewhart charts or control charts, Walter Shewhart laid the statistical foundation upon which all modern industry would be built. "Common causes" in quality assessment is best represented by imagining one cursive printing the word "cat," five times; it's natural to expect some minor variation from word to word, but in general each attempt would appear relatively the same. Minor variations such as these are considered "common causes" in the world of quality control. If, on the other hand, during the writing process the writer is bumped and writes a skewed letter, this variation in word is considered a "special cause" in the world of quality control. It's the goal of Shewhart's control charts to identify and track these types of variations with the intent to both monitor and identify possible patterns. This info supplies quality control managers with the tools necessary to minimize and eliminate "special causes," which affects the company’s bottom line. Walter Shewhart also created the Shewhart Cycle or PDSA (plan, do, study, act) cycle, the scientific method for learning through action as well as observation. To illustrate: if a company isn't experiencing the success it would like in a given area, the company is wise to brainstorm ideas for improvement. This is the "plan" phase of the cycle. Next, the company chooses a course of action to pursue, then pursues it, which logically, constitutes the "do" phase. The "study" phase that follows consists of the company observing the results of their actions, and subsequently, making judgments as to their efficacy. This step is crucial. It serves as the foundation for the next and final "act" phase. The “act” phase instructs the company to analyze the observed results. If the results are pleasing, change course to pursue this direction further. If they are not, this phase instructs the company to circle back to the original brainstorming pool in order to start the process over again and repeat the cycle until the company is pleased with the results. This plan illustrates Shewhart’s ideas that continual evaluation of management procedures and management's consideration of new ideas are vital in streamlining "common causes" and mitigating "special causes" in variation. In addition to being a visionary in this way, it's no surprise Walter Shewhart excelled as a mathematician at the University of Illinois, where he earned his undergraduate degree and post graduation degrees. He went on to study at the University of California at Berkeley, where in 1917 he earned his doctorate in physics. For a time, Shewhart taught at both his alma maters, and eventually served as department chair for the Wisconsin Normal School's school of physics. After his very brief term in academia, Shewart spent the better part of his career at Western Electric, and the aforementioned Bell Labs. He exceled both as an engineer (from 1918-1924) to technical advisor (from 1925-1956). An accomplished lecturer speaking both overseas and domestically, Walter Shewart garnered international respect and acclaim at such places as Rutgers University and Princeton. Here, he served in the capacity of both honorary professor to the former and contributing advisor to the department of mathematics of the latter. Beyond academia, Shewart's expertise was recognized by the United Nations, the Indian government and the United States War Department. All of which he served as a consultant. He served as a member of countless prestigious agencies such as England's Royal Statistical Society, The Institute of Mathematics, The American Statistical Association and the New York Academy of Science just to name a few. 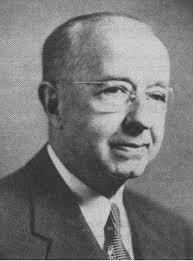 Walter Shewart was also an accomplished author, penning the landmark books Economic Control of Quality of Manufactured Product in 1931 and Statistical Method from the Viewpoint of Quality Control in 1938, as well as countless other widely respected articles for professionally specific journals. Shewart received concrete awards in addition to the accolades of his peers and superiors. He received the Holley Medal of the American Society of Mechanical Engineers. He gained Honorary Fellowship of the Royal Statistical Society and American Society for Quality. Walter Shewhart is known today as the "father of statistical quality control," or simply, SQC. Modern generation managers adopted his philosophy as the "Six Sigma" approach for quality assurance. Walter Shewart died on March 11th, 1967 in Troy Hills, New Jersey; a genius, an innovator, a visionary, and a legend in his not only own time, but for decades thereafter.